SNOWIE Shaved Ice of East Texas - SNOWIE Shaved Ice of East Texas ~ Serving events and fundraisers throughout East Texas. Ready for a snow day in Texas? We'll bring the ice. 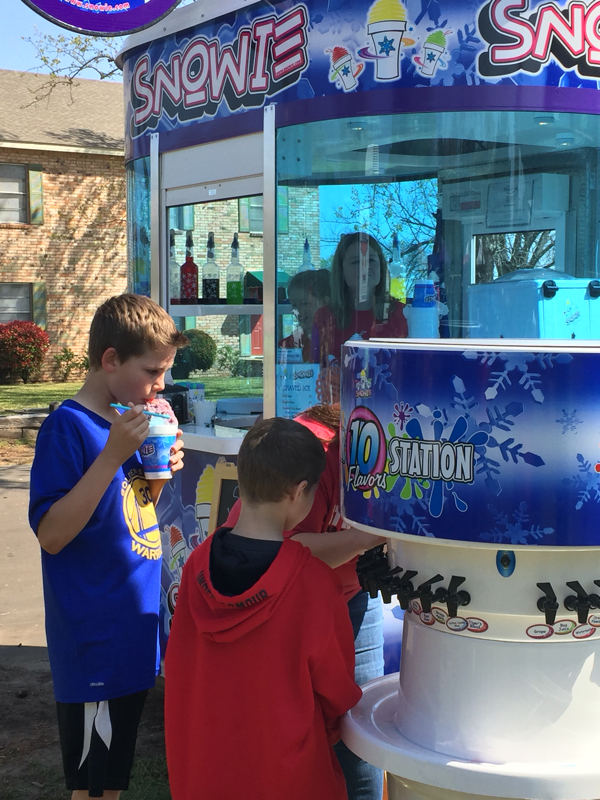 Serving events & fundraisers throughout East Texas. 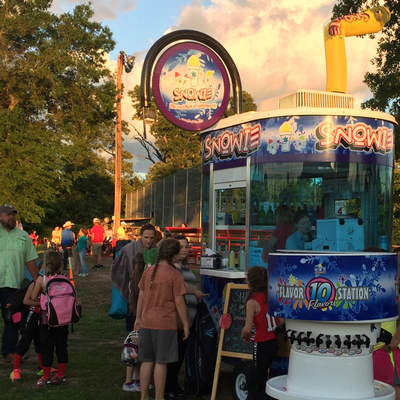 Snowie Shaved Ice of East Texas doesn't just serve your ordinary snow cone, we serve you fabulously flavored shaved ice. "It's as fine as snow." Our engineered ice shavers produce a fine, melt-in-your-mouth experience—and with so many flavors to choose from, it's truly a unique treat you’ll be telling your friends about! 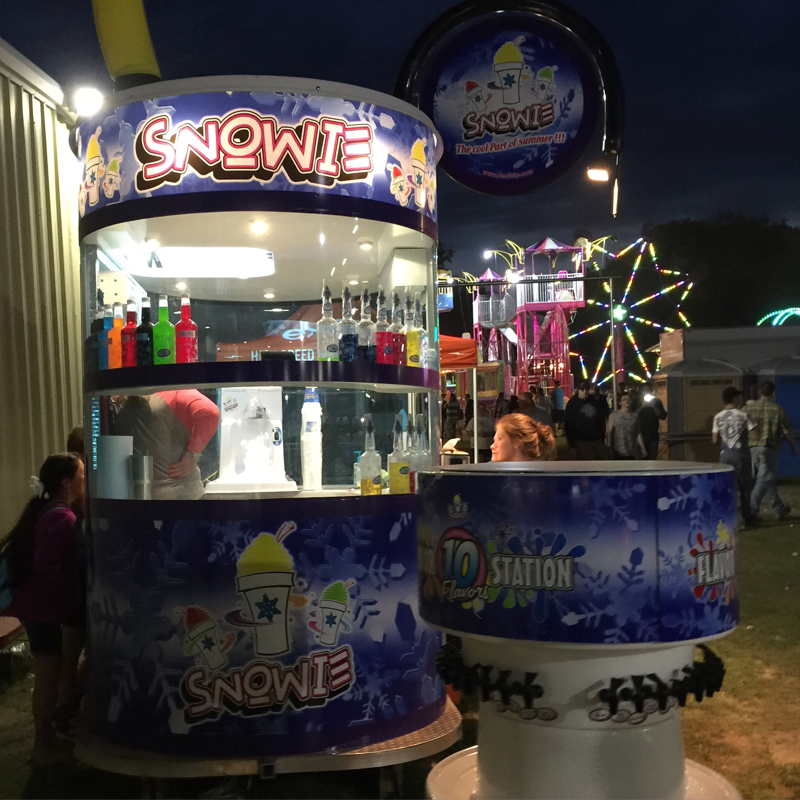 With amazing flavors and hundreds of combinations every SNOWIE SHAVED ICE can be as unique and delicious as you want it to be. Make YOUR OWN flavor combination of rainbow colors with our kid friendly FLAVOR STATION! Having a fundraiser? We love Giving Back to non-profit organizations. Invite Snowie and watch your proceeds explore. Ask about our Giving Back Program. We love to serve you. 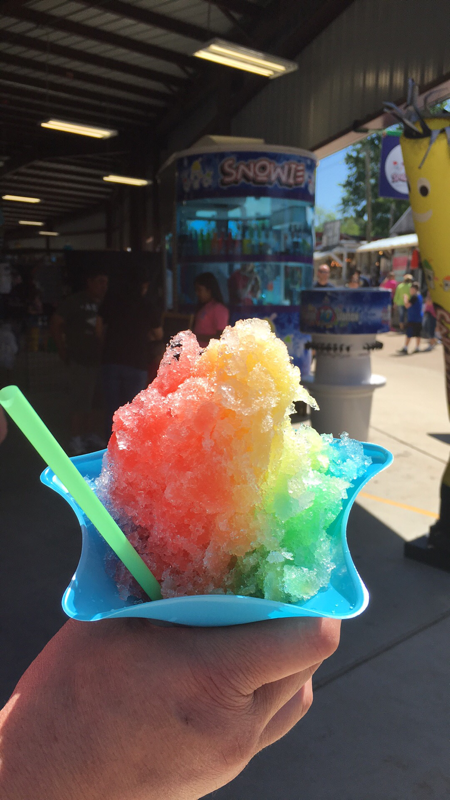 Who doesn't love to mix and match their own Snow Cone flavors? 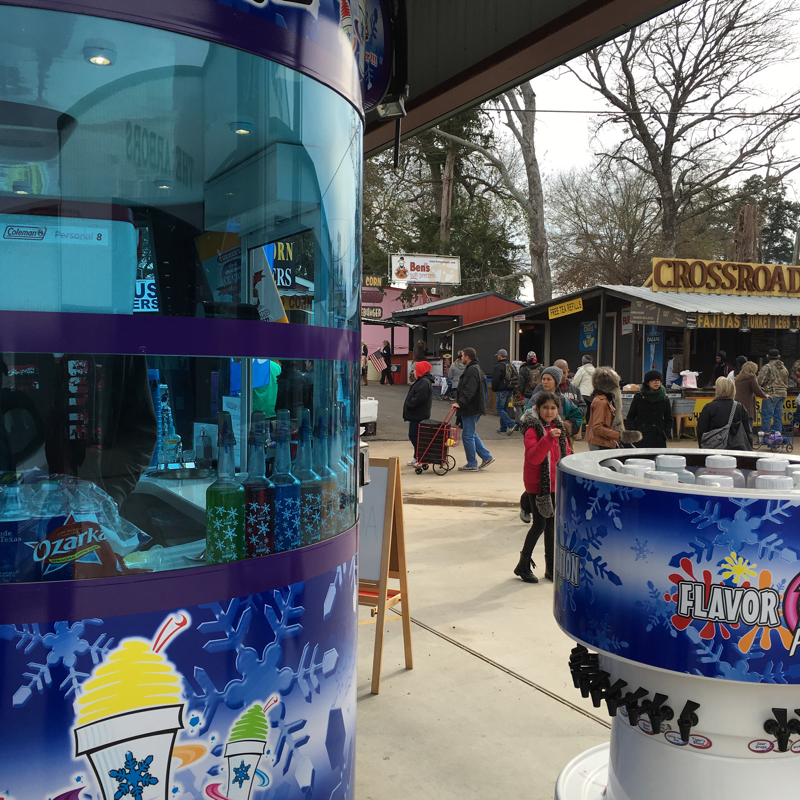 Now you can with our unique Flavor Station featuring bold mouth-watering flavors. From your favorite flavor to a rainbow, make your own creation. Snowie uses only the highest quality ingredients to create our flavorful syrups. 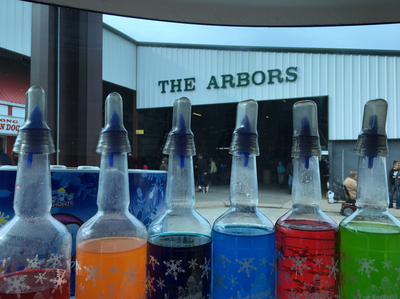 Our flavors are considered the best by those who have tried them. Our commitment to providing the best flavors goes beyond taste though. Our flavor station features Tiger's Blood, Blue Raspberry, Wild Cherry, Watermelon, Grape, Orange, Green Apple, Cotton Candy, Root Beer, Pink Bubblegum, Banana, Pina Colada, Wedding Cake, Coconut, Peach, Mango, Pickle, French Vanilla, Lemon, Lime and so many more. ​Invite us to your next event, fundraiser, birthday party or festival. We are mobile and travel throughout East Texas.